This is parcel #8 and is currently taxed as 'timber land'. 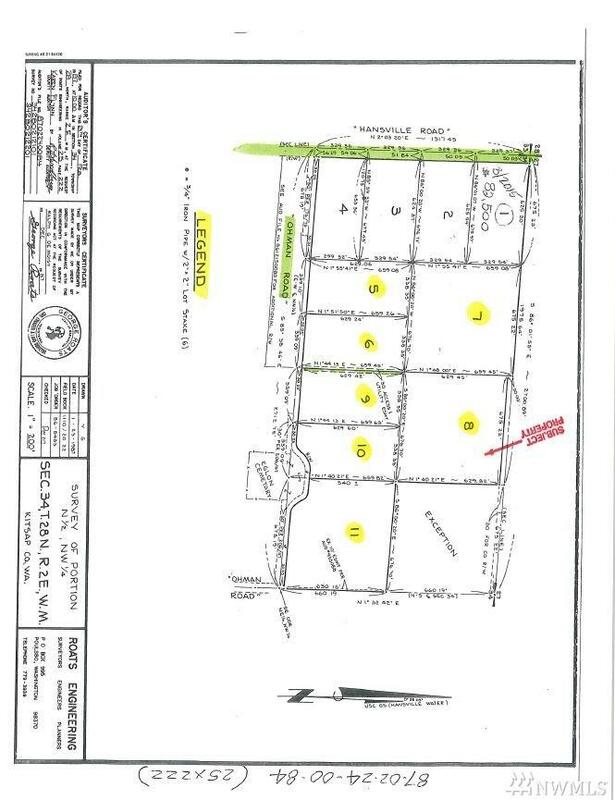 The Seller is also listed for sale two additional acreage parcel on Ohman Rd. ranging in size from 4.88 to 9.75 acres. This parcel enjoys privacy and benefits from property being taxed as 'Forest Land' which the Seller would encourage the Buyer to continue. Ohman Rd. has recently received a Chip Seal driving surfacing so no more dust or mud.